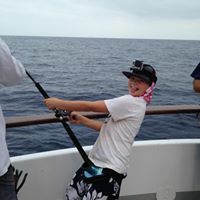 Fish Report - Bluefin, Yellowfin, Dorado OH MY! The Producer came in from it's 1.5 day with 4 Bluefin from 50 to 184 lbs! Lots of biters, lots of tragedies from too light of gear! Make sure to bring some big gear just in case the big boys want to play! The Legend called in after just getting started with a shot for 20 Yellowfin and more coming soon! The Ocean Odyssey returned this morning with 150 Yellowfin Tuna, 10 Dorado, and 40 Yellowtail! 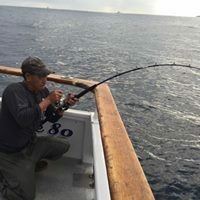 The Sea Adventure 80 reported on their 4.5 day trip with 4 Bluefin ranging from 50 to 170 pounds plus lots of Yellowfin & Dorado!! The Old Glory called in from their overnight trip with 124 Yellowfin Tuna so far!